It’s now Sci-Fi Month, and I’m thrilled that the first official post is science fiction reading advice from Max Gladstone! 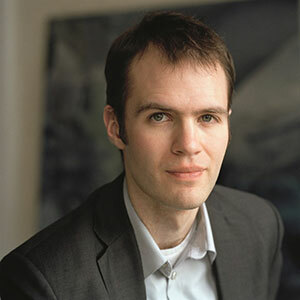 He is the author of Three Parts Dead, a novel so well received that he was one of the 2013 finalists for the John W. Campbell Award for Best New Writer. 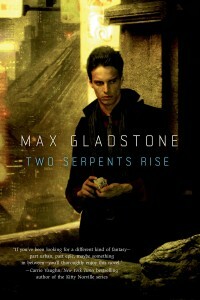 His second novel, Two Serpents Rise, was just released on October 29 (read an excerpt). Science Fiction is a hard genre to learn without help. 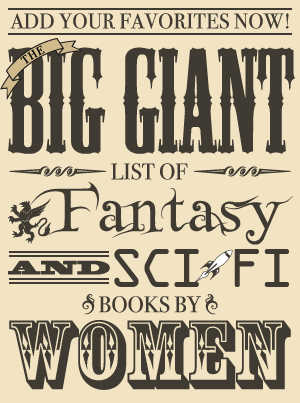 It’s big, it’s old, and metric tons of new books come out every year. The great lights of modern litfic produce one novel a decade, if that, while genre writers write an order of magnitude faster. Even worse, science fiction is intertextual and referential—great writers tend to be great readers, and incorporate other writers’ concepts. As a kid I strained my brain trying to reconcile the Ender universe with LeGuin’s Hainish books—they had to take place in the same universe, since obviously both had ansibles! In my experience the genre is best passed down by word of mouth—more knowledgeable friends, parents, teachers, and librarians introduce us to the key works, and help us expand. “If you liked x, you’ll probably like Y!” My uncle Danny got me started with boxes of old paperbacks, from Asimov to Zelazny. But if you’re not lucky enough to have someone drop off boxloads of awesome old books, where should you start? To which end I pass on the advice I received from my uncle, as I stared gobsmacked at piles of paperbacks: start with the books that won both the Hugo and the Nebula Awards. The Nebula’s awarded by professional science fiction writers, while the Hugo—even though it isn’t awarded by straight-up popular vote—is open to all fans who have the money to pay for a supporting membership at the last WorldCon. Both awards have their advantages, and books that win both wowed professionals and fans alike, and tend to have real staying power. Starting with Dune, you work your way up to get a sense of where the genre has been, and where it’s going. Themes emerge and fade with the decades. I doubt you’d find a single person to claim that this list represents all the best books of the field. Zelazny’s work doesn’t appear here, for example, nor does Bruce Sterling’s, and Hyperion is nowhere to be seen. There’s a shortage of Fritz Leiber and Samuel Delaney and Kim Stanley Robinson. But if you’re looking to expand your foundation, this is a good way to go! And, as a special bonus, this list is somewhat fractal. When you reach the end, you encounter Among Others, a brilliant reading list woven through an equally brilliant novel. Write down all those titles, and continue. If you’re new to the genre, I hope this helped! If you’re not: what reading list do you use to help people find their feet in science fiction?